The Threeler VCF created by Ian Fritz is an interesting filter design. Utilizing a 3rd order design with 3 single pole filters in various combinations the Threeler is able to give a large variety of filter types. A mode select switch gives us 4 options of slopes. the first row consisting of Low pass configurations, the second row consisting of band pass , the third is a reversed order bandpass and the bottom row consisting of high pass filters. we are give 3 simultaneous outputs at a time (giving us access to different stages of the filter.) 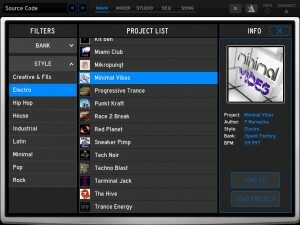 CV is available to control filter cut off, frequency modulation and resonance. 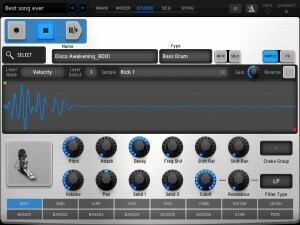 The Filter also tracks volt per octave nicely over quite a few octaves which gives us access to a nice sine oscillator. Available now as a PCB, Panel PCB, full Kit and as a completed module from Synthcube.com or on their Synth release club ( a module renting/leasing program. 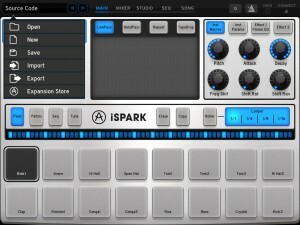 Arturia unleashes iSpark for iPad, why you should care. So below I’ll post the regular press release and info but lets talk about why this release actually matters. 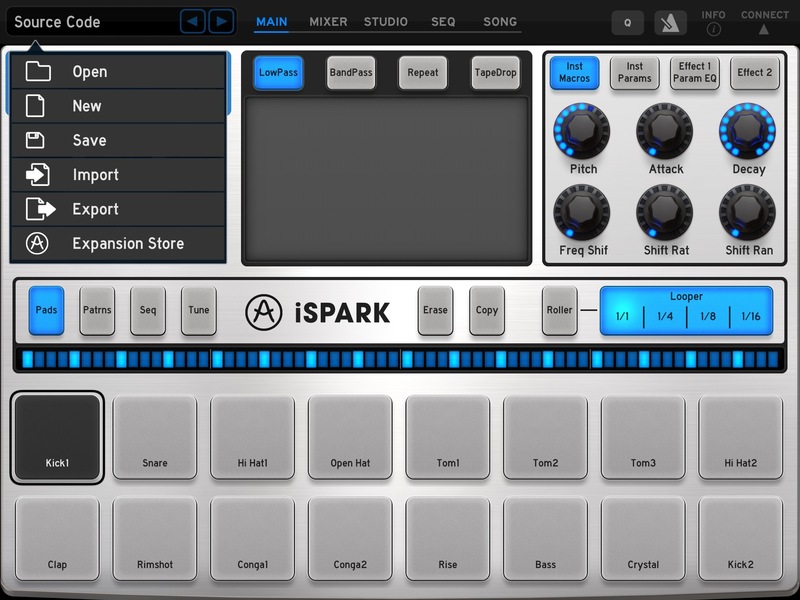 you can use your SparkLE usb controller with this app, that means you have an actual tactile hands on drum machine experience with just a iPad as the processing power… think about this for live shows or that “stand alone drum machine” feel… thats pretty dope right? the in app store looks to have a promising host of content. Already there are three promising expansions with more to come. I love new sounds at affordable prices.